Which NFL players don't make nearly enough money? The cyclical nature of NFL contracts means some players are left underpaid at all times. Here is the most comically and dramatically underpaid batch of five. 5. Atlanta Falcons LB Deion Jones: Two seasons into his career, the 23-year-old Jones has a pair of three-pick campaigns, two defensive touchdowns and 244 tackles under his belt. He made the first of what will be many Pro Bowls in 2017, but because he was a second-round pick in 2016 he makes just $1.1 million per year. Jones still has two years remaining on his rookie contract, but there’s no fifth-year option in play so look for him to become a very rich man in the next couple years. 4. New England Patriots QB Tom Brady: Brady has spent the majority of his career on this list, just because he’s never had an inflated average annual salary. Guess it helps when you’ve got plenty of endorsements and a wife who is worth $180 million. His current contract is technically a two-year, $41 million deal, which makes the reigning MVP and the most decorated player in NFL history only the 16th-highest-paid player at his position. 3. Los Angeles Rams QB Jared Goff: The most team-friendly contracts in football belong to blossoming franchise quarterbacks still in the early or middle stages of rookie deals. Just ask the Rams, who as a result of Goff’s $7 million average annual salary have been able to bring in several veteran stars and lock up a number of key homegrown players. Only Drew Brees posted a higher yards-per-attempt average than Goff last season, despite the fact the 23-year-old No. 1 overall pick had just seven ugly starts under his belt prior to his sophomore campaign. He led the league’s highest-scoring offense in 2017, and the future looks extremely bright for a player who still has two years plus a team option remaining on his cheap rookie deal. 2. Philadelphia Eagles QB Carson Wentz: Wentz is basically in the same position as Goff, except his average annual salary is even lower ($6.7 million) and in 2017 he was even better. The 2016 No. 2 overall pick has more experience under his belt, and he was performing at an MVP-level before a torn ACL abruptly ended his sophomore season in December. You can’t get better bang for your buck than that, unless your name is Brian Willis Gutekunst. 1. Green Bay Packers QB Aaron Rodgers: Gutekunst is the new general manager in Green Bay, and he inherited a somewhat contentious set of circumstances with Rodgers. The highest-rated passer in NFL history is a two-time MVP and a Super Bowl champion, so there’s no doubting his credentials. But smack dab in the middle of his prime, the 34-year-old . His current deal is five years old, which is why his $22 million average annual salary is lower than nine other quarterbacks. 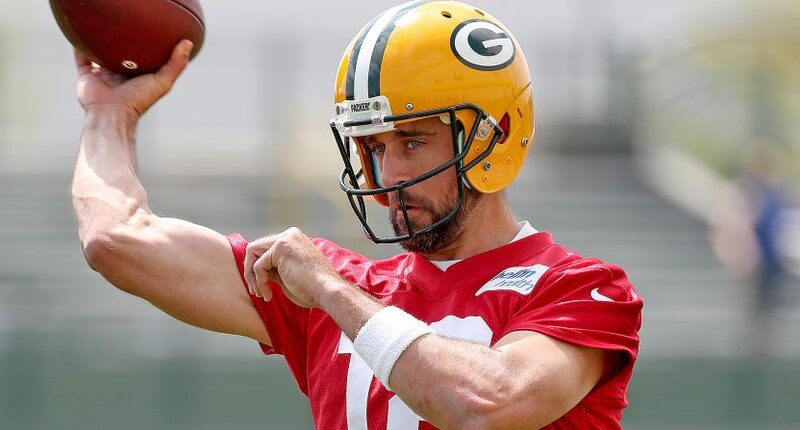 And while the two sides appear to be working on a new (and massive) contract, the reality is the Packers could take a cold, hard, business approach and force Rodgers to play at incredible value the next two years before playing the franchise tag game until the dude is almost 39 years old.